La ville s’est tue: made of fibre, grey cement, a flow of tears of blood on a mummified face, but light and hope are there. My thoughts November 13, 2015, Bataclan. Our works will be exhibited at Espace Culturel Leclerc – Zone Sud, La Roche-sur-Yon, from July 11 to July 19, under the theme “La voile des mots” [The veil of words], an encounter between visual arts and poetry, between Quebec and French artists. These works were created specially for the event, inspired by five poems written by Christine Angelini from the collection Moira. This group project consists of an artistic and literary encounter between the visual artists of the Guilde de Drummondville and the poets and painters of La Roche-sur-Yon, France. 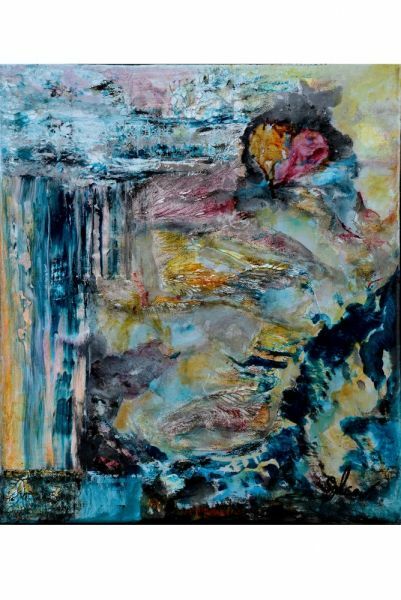 MONTRÉAL, July 18, 2014 – Visual artist Sylvie Carole Turcotte (Sylca) invites the public to the opening of her solo show entitled “Between Earth and Sea” on Saturday, July 26 at the Dom Henrique Arts & Events Centre, located at 3714, Notre-Dame Street West in Montréal. The cinq à sept will feature live music by Cathy Pimentel and her Fado Mundo band. To round out the evening of art, Sylca will be creating a painting live, starting at 8:00 p.m.
Sylvie Carole Turcotte’s collection of some 40 works is centered on the theme “Between Earth and Sea.” By turns, the works immerse you in blue and turquoise oceans, or in scenes of natural and organic colours where birds mysteriously appear in a puff of gold dust, graphite, and shades of gray, as though from your dreams. 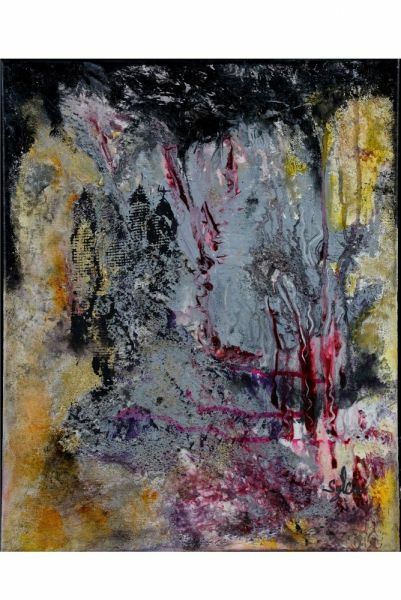 Her works are at once austere and rippling with texture and substance, incorporating fibres, shards of bronze, or aluminum. Sylvie Carole Turcotte, the self-taught artist known as Sylca, has lived in Pointe-Saint-Charles for more than 13 years. She was born in Drummondville on the banks of the Saint-François River and grew up in the heart of Québec in a family of artists—her father is a sculptor. When she paints, she captures the energy of the environment around her. In her series “Seen from Above,” her canvases, rich in texture and often dominated by blue and turquoise, give the impression of flying over islands in the sea. 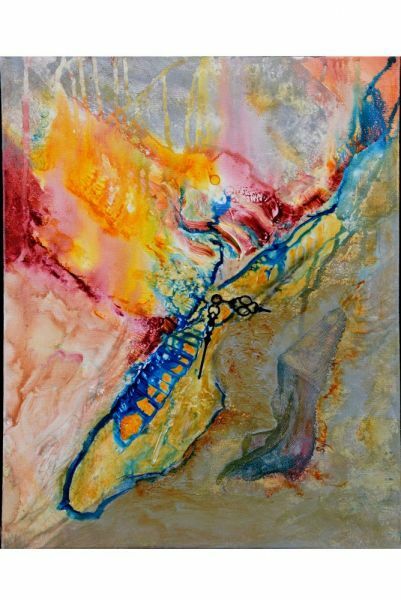 Simultaneously figurative and abstract, most of her works are in acrylic and mixed media. 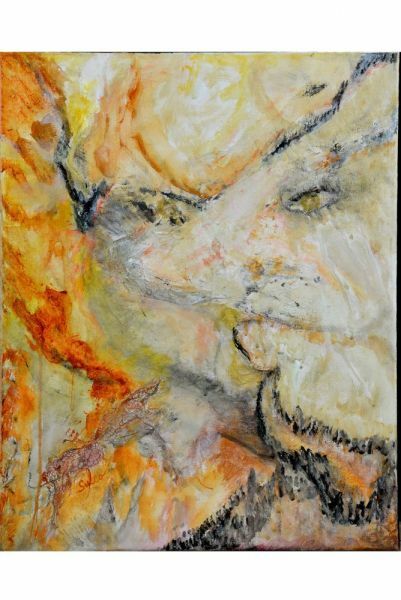 Sylca has shown her paintings in Canada, France, and in Belgium, and received Grand Distinction awards in 2008 and 2009 from the Cercle des Artistes Peintres et Sculpteurs du Québec. She is a member of the Regroupement des artistes en arts visuels du Québec (RAAV) and the Canadian Artists’ Representation (CARFAC). 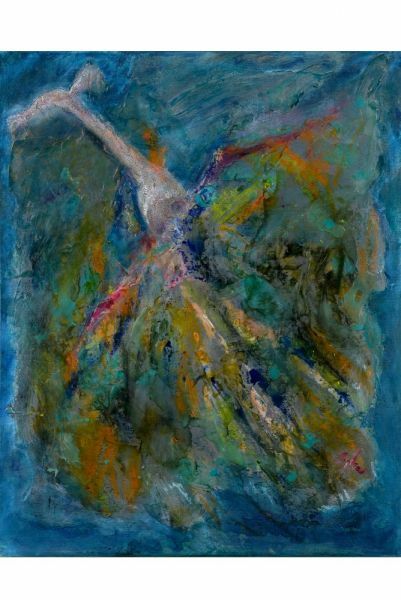 Her paintings are included in private collections in several countries, particularly in the United States and Italy as well as Canada. The exhibition “Between Earth and Sea” will be open between July 17 and August 7, 2014. To learn more about Sylca, please visit her website at www.artistesylca.com . Tuesday to Thursday, 5:00 p.m. – 10:00 p.m.
Friday and Saturday, 5:00 p.m. – 11:00 p.m.
Sunday, 5:00 p.m. – 10:00 p.m.